Your child will grow academically and socially at The International School of Moscow, an international school that helps students excel. Our Russian school – The International School of Moscow – is home to students who excel in both academic achievement and strength of character. 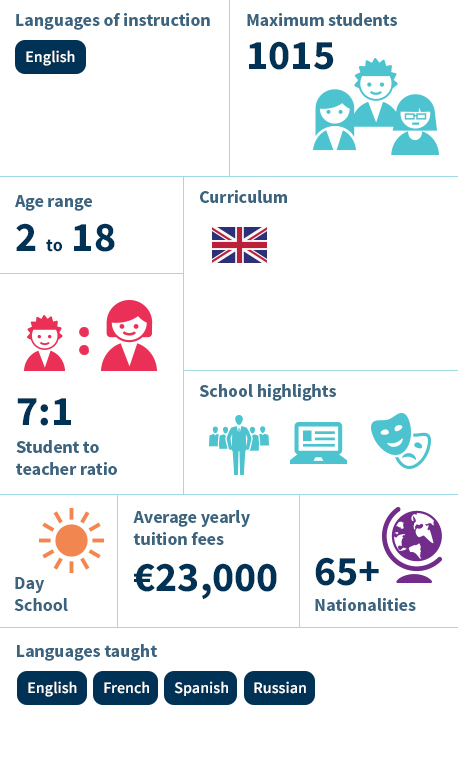 Our focus on a challenging and personalised British curriculum will prepare your child to enter the world as a compassionate and confident global citizen. The International School of Moscow has been graded as “excellent” in all areas, and hires only the best teachers to tailor tuition to the needs of each child. As part of a family of 56 international schools, your child will also work and make friends with students from all over the world.